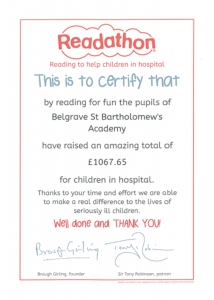 On Friday 26th May 2017, pupils at Belgrave St. Bartholomew’s Academy took part in a Readathon and raised £1067.65 for children in hospital. 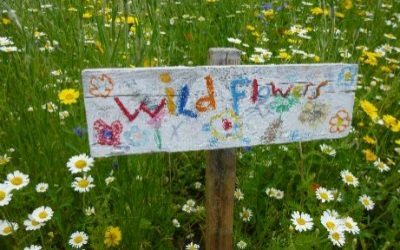 Well done Belgrave! Readathon is part of the Read for Good campaign with a vision for all children in the UK to be given the opportunity, space and motivation to develop their own love of reading, benefiting them throughout their lives – for good. Sponsor money raised from the Readathon goes towards buying books and storyteller visits at the local children’s hospital.